Of all the 60s / 70s classic groups out there, maybe the one I'm most fatigued by is Pink Floyd. A year or two ago I had a chance to listen to the Dark Side of the Moon box that had come out but at the very least I had found out I hadn't put enough years in between now and the overplay on classic rock radio to be able to see where I sat with it. Pretty much anything after that album I feel the same about, but I was also surprised when one night a friend played "Echoes" from Meddle and even that I couldn't get particularly excited about even though it's certainly a classic of theirs. But there's one album in their canon, their very first, that still continues to impress with every listen over the years. It's probably one of the most influential albums ever made, even great bands like Gong manage to sit on its foundation. Not only are there some of the earliest space rock excursions on it ("Astronomy Domine," "Interstellar Overdrive"), but the album is also the home for some of the most well crafted psychedelic pop of the times, in fact only Sgt Peppers or maybe the early Hendrix albums sit comfortably next to the album in terms of the sheer breadth they encompass. 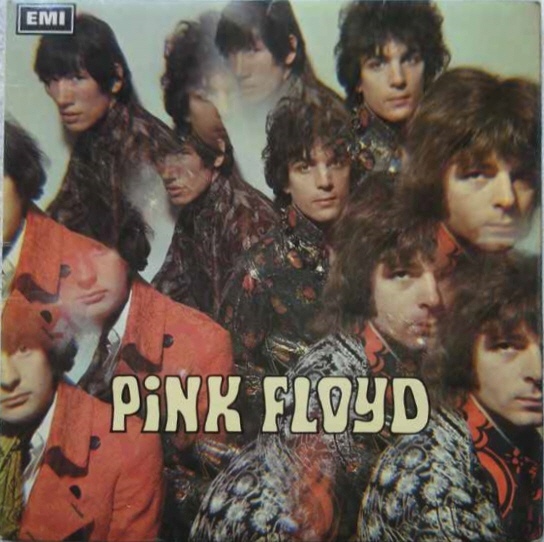 Many of the songs, of course, were written by Syd Barrett, whose presence would haunt the group long after his departure, songs like "Lucifer Sam," "Matilda Mother," "The Gnome," and "Bike." So many of these felt like a loss of innocence, songs that start almost childlike at there core but become the springboard for a great deal of experimentation that practically declared the end of the mid-60s pop era as bands rushed into the studio in the wake of Rubber Soul and Revolver. The band never made an album quite like it again; without Barrett their style would change considerably as they evolved over the next few years and while later albums would perhaps be at least influential, I don't think they ever quite matched this one in terms of a sui generis imaginative lightning strike.